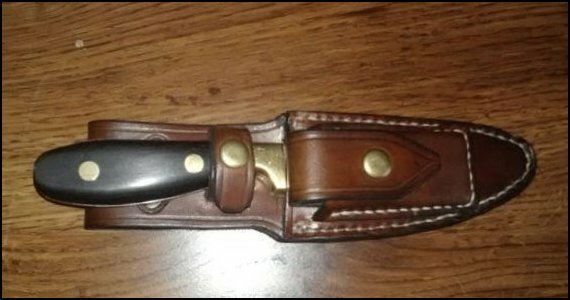 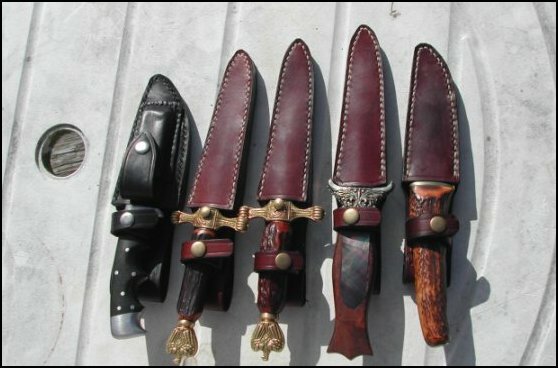 Below are a few of the custom sheaths I have made for collectors and custom knife makers. 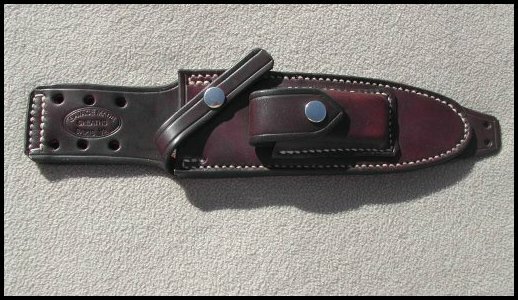 They only represent a few of the styles so email me if you have a different sheath style in mind and I can quote you a price for the sheath. 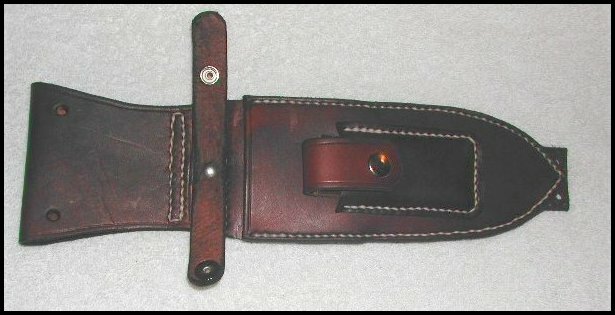 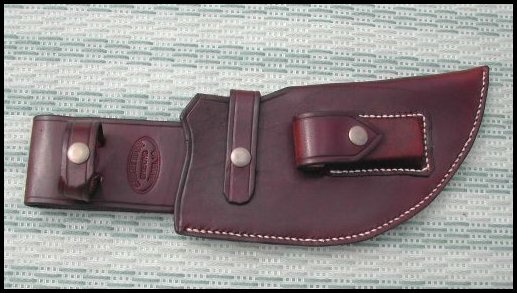 Custom Sheath for Larry M.